Inatur Herbals Coconut Oil is 100% pure coconut oil that contains vitamins and essential fatty acids and is known for its multiple benefits. It can be used for both skin care and hair care. This coconut oil acts as an excellent night moisturizer for face and body. It can be applied directly onto scalp to grow hair faster. 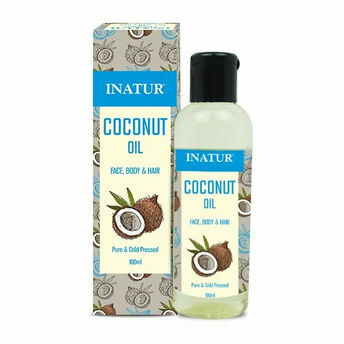 Alternatively, you can also find many more products from the Inatur Coconut Oil range.